"Unfortunately, I have mixed up the accounts and accidentally deleted yours," an e-mail from Flickr reads. Wilhelm says Flickr offered to restore the account -- though it cannot retrieve the photos -- and give him four years of free Flickr Pro service (valued at $100) in compensation. 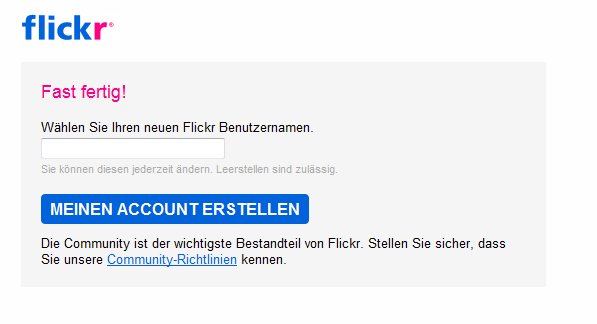 Yesterday, Flickr mistakenly deleted a member's account due to human error. Flickr takes user trust very seriously and we, like our users, take great pride in being able to take, post and share photos. Our teams are in touch with the member and are currently working hard to try to restore the contents of his account. In addition, we are providing the member with 25 years of free Flickr Pro membership. We are also actively working on a process that will allow us to easily restore deleted accounts and will roll this functionality out soon. Flickr has not responded to repeated attempts by PCWorld to confirm Wilhelm's story. It looks like there's not much Flickr or Wilhelm can do about his 4,000 lost photos (see the cached version of his Flickr page here), except, um, prepare better for next time. Meanwhile, all of you out there reading -- do not put all your money on the cloud.